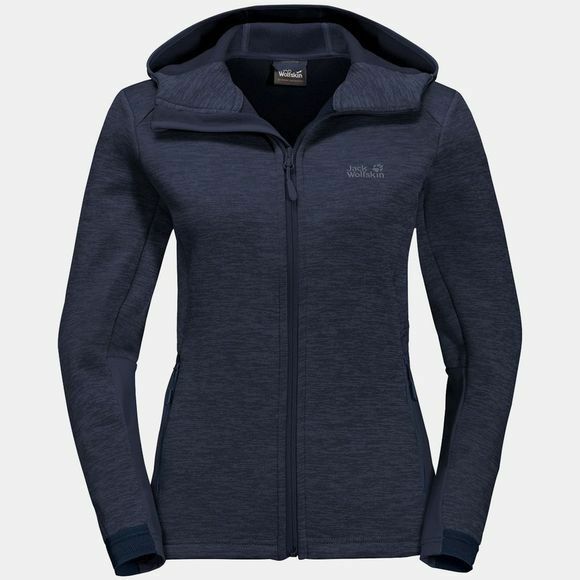 The Womens Morning Sky Jacket from Jack Wolfskin is a great Jacket for fast-paced Winter hiking or as part of a layerIng system for skiIng. The Morning Sky Jacket is made of Stretch Fleece and offers a good combInation of freedom of moveMent and Insulation.That's all down to the Nanuk Dynamic fabric. The fabric is nice and soft, super Stretchy and keeps you warm. The femInIne stylIng gives the Jacket its signature sporty look.